Located .3 miles off I-75 with close proximity to historic McDonough square, Geranium Capital of the World and only 20 miles directly south of Hartsfield-Jackson International Airport and 9.8 miles from Atlanta Motor Speedway. Adjacent to McDonough’s Historic district and attractions like Callaway-Knott-Brown House (home of Andrew McBride/revolutionary war veteran), Spencer-Tye-Carmichael House, Hazelhurst House, and Scarlett’s retreat. HGI is a full service hotel that offers an upscale modern atmosphere with superb “focused” customer service. 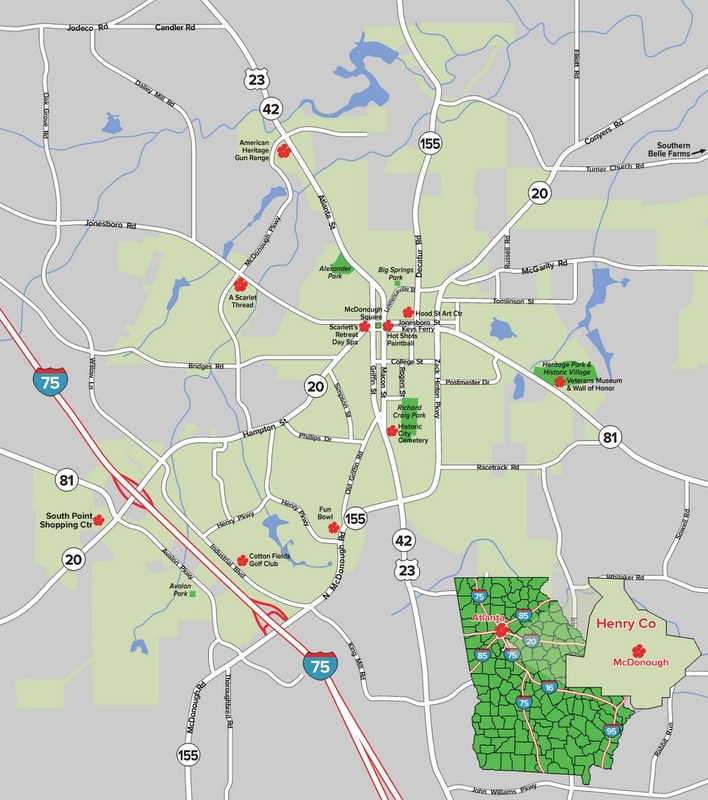 Located off I-75, just south of the beautiful city of Atlanta and within minutes of the Hartsfield-Jackson Airport. Perfect for both the corporate and leisure traveler. 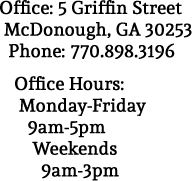 At the center of large corporations such as Norfolk Southern Railroad, Snapper, Luxxotica, and Millard to name a few. Travelers will enjoy the all-suites hotel with top-notch features, such as a heated, indoor pool, whirlpool, a fitness center and a complimentary Express Start breakfast. 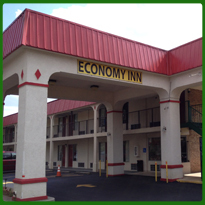 Easy access to Interstate 75 and close to many attractions. Area businesses and local points of interest like the Facet Technologies corporation, Summit Racing and Mercer University are close by. Heritage Park recreation area is just eight miles from this McDonough, GA hotel and provides the perfect backdrop for outdoor activities like hiking, biking,and picnicking. Visitors can enjoy strolling along nearby McDonough Town Square that offers entertainment venues, cultural attractions, shopping, dining and more. Unwind in the small-town tranquility and old southern charm of McDonough, a colorful, sporting city about a half-hour south of Atlanta. 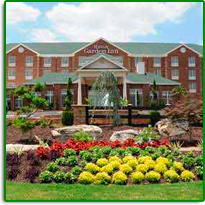 The Baymont Inn in McDonough is located less than ten minutes from major shopping, numerous golf courses, and the Atlanta Motor Speedway. A friendly and modern hotel just off I-75. It’s an easy 30 minute drive to Atlanta, GA and the big city attractions. 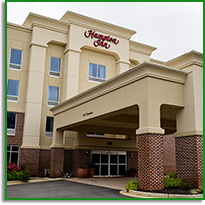 The Hampton Inn hotel is located in close proximity to historic downtown McDonough square, boutique and major retail shops, and a variety of restaurants. Affordable travel with unexpected things is what you will find at the NEW Tru by Hilton. 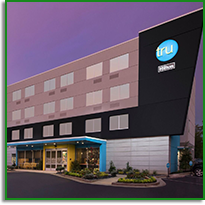 Embrace the Tru in you at the newly built Tru by Hilton McDonough, GA hotel. 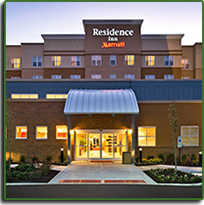 Conveniently located off I-75, just minutes to the historic city, shopping and dining. 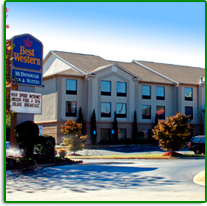 Come discover the Best Western McDonough Inn & Suites, an all suites hotel. Four time winner of Best Western’s highest honor, the ‘Chairman’s Award’ for excellence in quality and service. Designed with both the business and leisure travelers needs in mind offering complimentary high-speed Internet access in all suites. Convenient to popular area points of interest, like the Atlanta Motor Speedway, Atlanta State Farmer’s Market, the Georgia Dome, Clayton State University and Underground Atlanta. Visitors will enjoy browsing the stores at South Point Shopping Mall and Tanger Outlet Center. 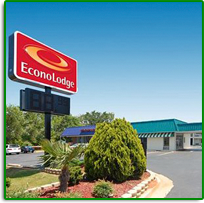 The Econo Lodge® hotel is ideally located off Interstate 75, within 20 miles of the Hartsfield-Jackson Atlanta International Airport. 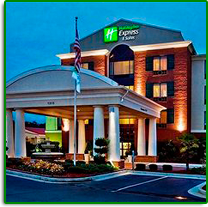 This McDonough, GA hotel is convenient to specialty shops and attractions including the South Point Shopping Mall, the Atlanta State Farmers Market, Underground Atlanta, Atlanta Motor Speedway and the Georgia Dome. Visitors will also enjoy nearby recreational activities, such as golfing. There are a wide variety of restaurants and cocktail lounges located in the surrounding area. 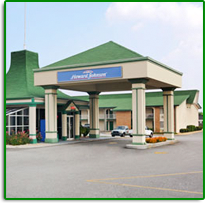 Located at Exit 218, off I-75 South, the Howard Johnson McDonough is located only 7 miles from the Atlanta International Speedway. In addition, with easy access to I-75, downtown Atlanta’s many attractions–Georgia Dome, Turner Field, Coca-Cola Pavilion, Philips Arena are just within an easy drive. 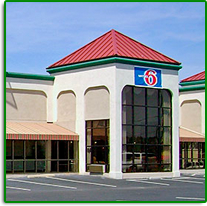 Super 8, McDonough, has easy access from Interstate 75 and offers free wireless internet access, free local calls, free cable and free coffee. Pets are welcome and look forward to making you feel at home. 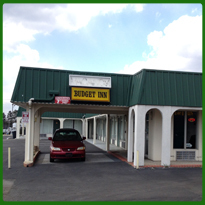 This 2 story, 1 building location has both exterior and interior entrances. 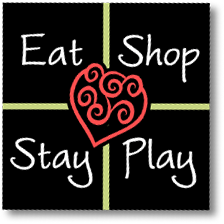 There are several fabulous restaurants, within walking distance, for everyone and anyone to enjoy. Welcome to Americas Best Value Inn in Historic McDonough, GA. Conveniently located 30 miles south of Atlanta, GA just off I-75 at Exit 216/Hwy 155. The 2-story, interior design Inn features 51 guest rooms and suites nicely furnished with amenities including coffee maker, iron and ironing board, cable TV with HBO, microwave, mini-fridge and more. Complimentary continental breakfast served fresh daily from 6am to 9am. Free outdoor parking for guests. Minutes away from HC Fun Town where guests can enjoy putt-putt golf, bowling, go-karts and much more. 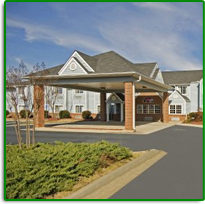 Walking distance to several restaurants and just 10 minutes to the Atlanta Motor Speedway. 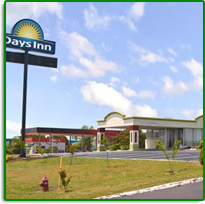 Conveniently located just off I-75 at exit 216, the Days Inn McDonough offers an affordable and comfortable resting place whether you are on a journey or visiting McDonough. 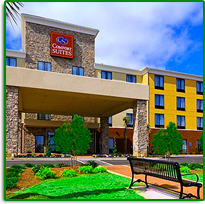 Located 30 miles south of downtown Atlanta and just 9 miles from Atlanta Motor Speedway. 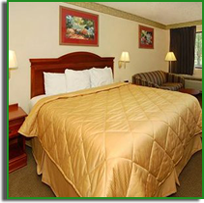 Enjoy clean comfortable rooms with all the amenities of home. Wyndham Rewards where it is more fun to earn more. Minutes from the Atlanta Motor Speedway, the Tanger Outlets shopping center in Locust Grove, Fort Gillem Army base, Clayton State University and Piedmont Henry Medical Center. The perfect place to stay for corporate travelers visiting the Lincoln Industrial and the Midland Industrial business parks. Visitors will enjoy a variety of golf courses, fitness centers, baseball fields, basketball courts and paintball grounds in the area. The hotel is within walking distance from several restaurants. 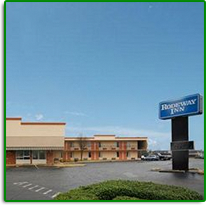 Conveniently located just off Interstate 75, this hotel is within walking distance from several restaurants.